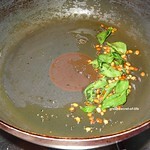 Heat the pan and add oil. When it is hot add mustard seeds and let it pop. 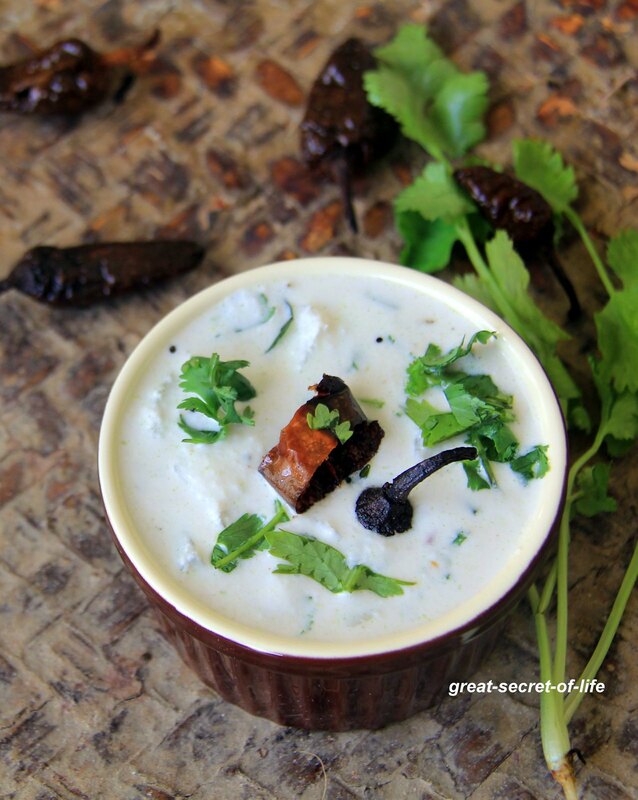 Add urad dhal, curry leaves and fry till it is brown. Keep it aside. 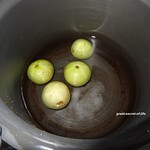 Pressure cook Amla. After it cool down remove the seeds and slice them into small pieces. 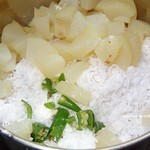 Add coconut, green chilies, 1/2 of cooked amla and run mixer for 30 sect. 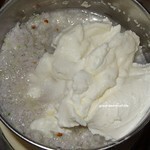 Add yogurt, salt and water. grind to smooth paste. 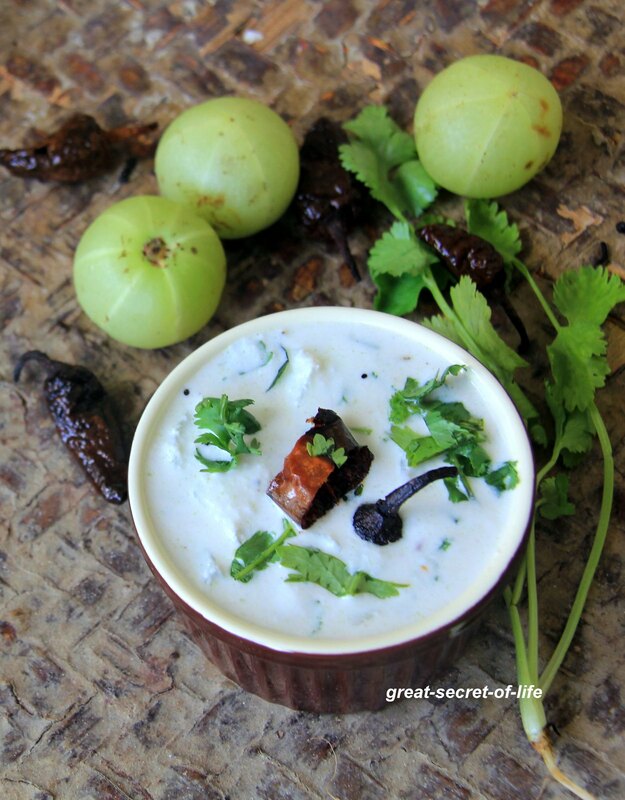 Transfer to serving dish Add reminding Amla, coriander leaves and crushed chillies. Mix well. very healthy & yummy!! drooling here.. So refreshing and appetizing! 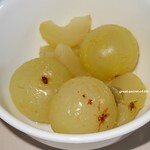 I miss those Indian gooseberries. So sour and good! Gooseberries are my fav.. 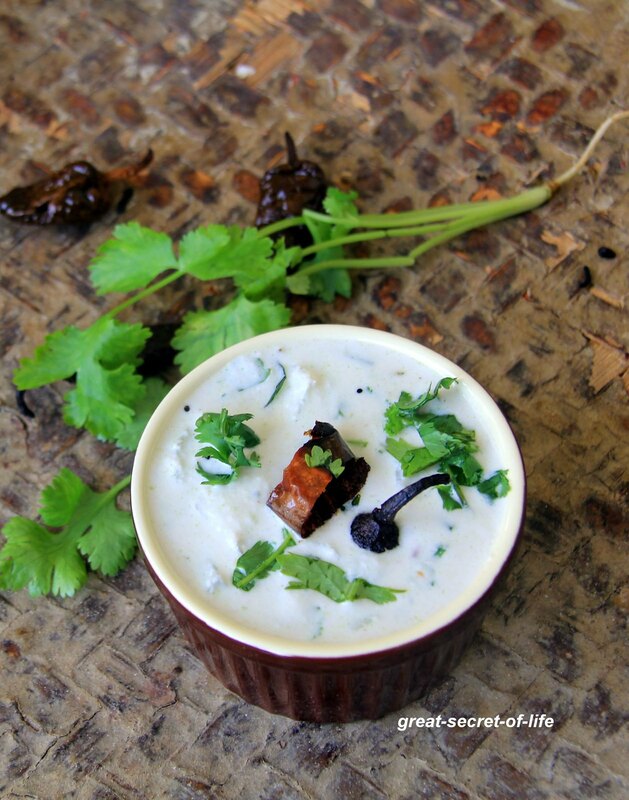 I love this yogurt dip .. 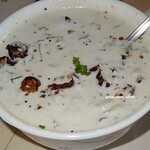 I miss them here in US..
Super delicious pachadi, very tempting they are.